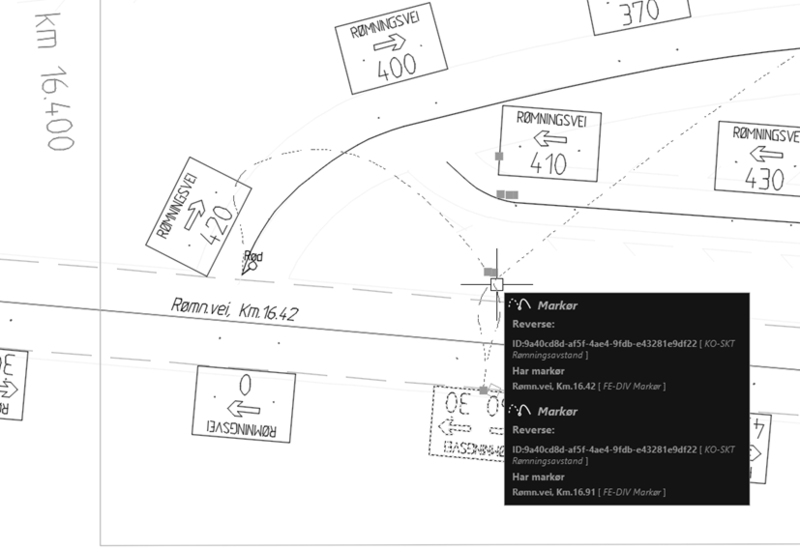 RailCOMPLETE features a user-friendly CAD table editor. 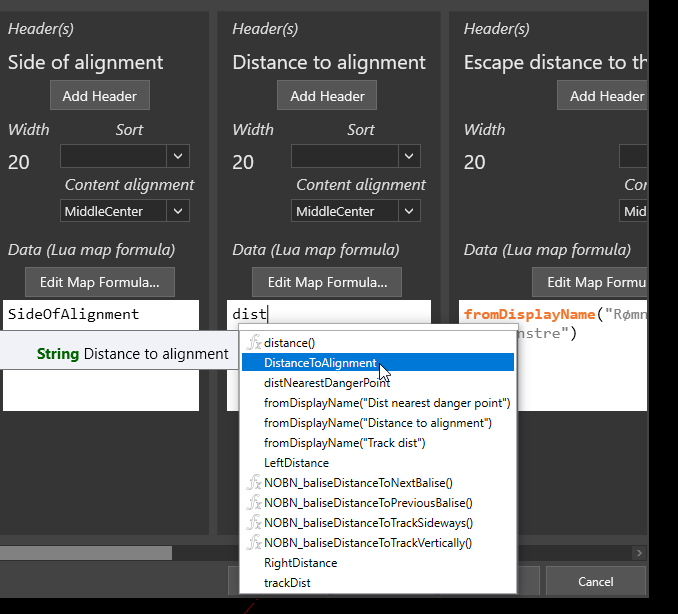 The table editor lets you define which objects are to be included in the table, and how they are to be presented. All properties belonging to an object are available for use in formatted text entries in the table. You may also combine data from several objects by simply following a trail of relations from one object to another. 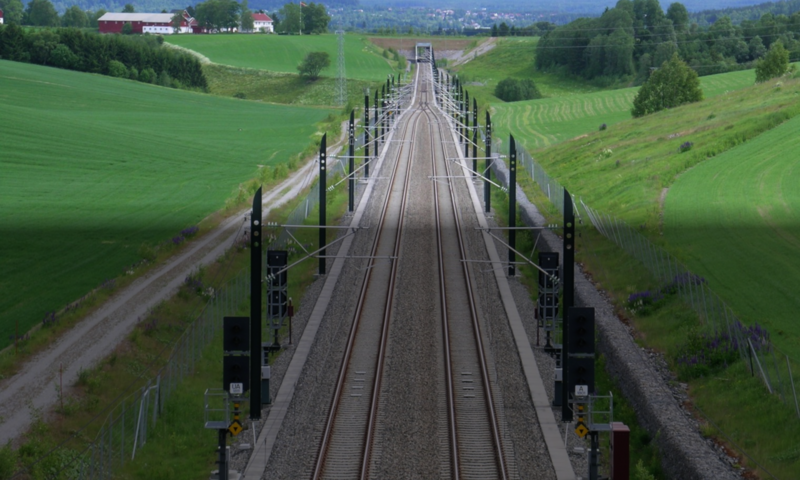 For instance, count the number of point machines associated with a switch and include information on coupled points etc. Your database searches – when piecing together the information you want to present in a table cell – are formulated in the Lua language (see also: Wiki: Lua). Lua is a powerful but easy-to-learn high-level computer language, and it comes with a user-friendly editor, intellisense and help system. The table editing process is illustrated below. 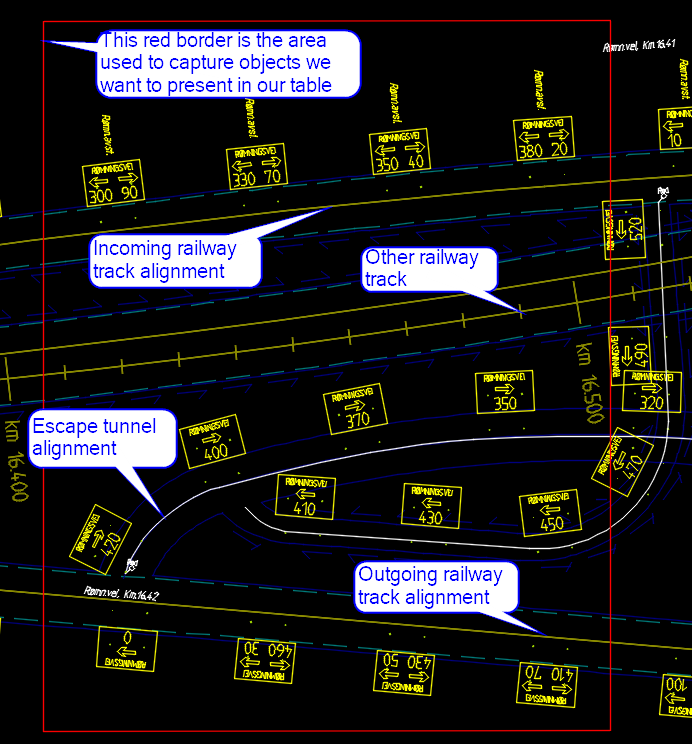 Below is an example showing a small portion of a railway tunnel with railway tracks, escape tunnels and escape distance signs. 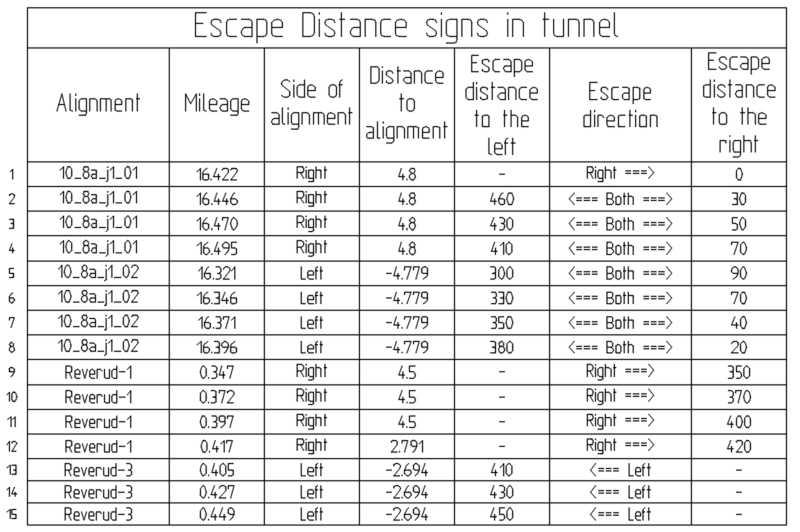 The resulting Escape Distance Sign table is shown below.